Give your look a promotion with this midi dress. 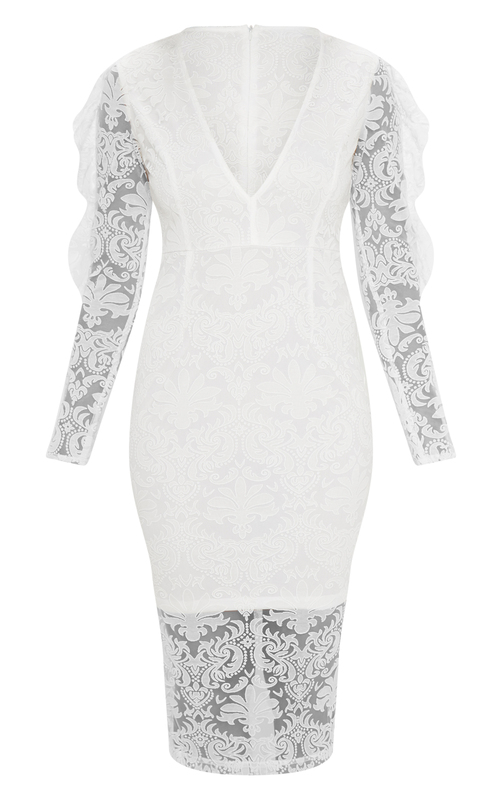 Featuring white lace fabric, frill sleeves and a plunging neckline. We love this styled with silver strappy heels and statement earrings for an occasion look we're loving.